Despite which side you sit on the opinions of the the monarchy fence, you’ve got to admire their sheer ability to get both common and aristocratic tongues wagging, and as a pleb with a paycheque to earn excuse me while I throw some more attention in their direction. After throwing THE WEDDING OF THE SUMMER, just in case some of you at the back missed what happened in May, they’ve got right into their royal duties. Meghan was even flying solo attending a bash with her new grandmother-in-law or Her Majesty Queen Elizabeth II to the likes of you and me. Can we just take a second before we get into the conspiracy theories and spare a thought for the newlyweds from yesterday’s wedding of Celia McCorquodale – Princess Diana’s niece – and George Woodhouse, who have been just a little bit upstaged by the media on their wedding day. But I guess, that’s the price you pay for being in the royal family. 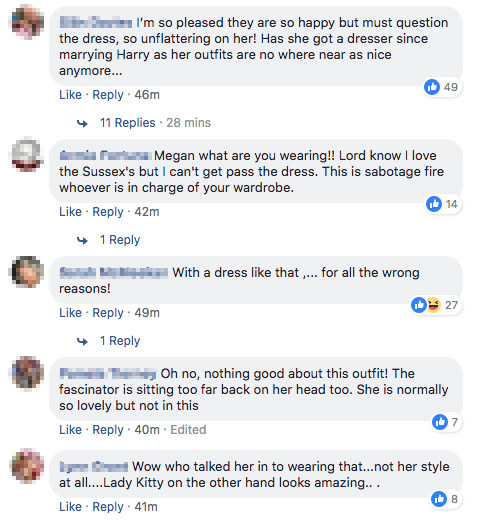 Yeah, so Harry and Meghan attend a family wedding and steal the limelight, obvs, but hang about, what in the name of five dead Milan designers is our Duchess of Sussex wearing?! Or at least that’s what the trend of thought is in the Daily Mail’s Facebook comment section. Yeah, you guessed it, the royals really are like normal people in the sense that the minute you’ve tied the knot you’ve got everyone asking when you’re going to have a baby. Or rather in Meghan and Harry’s case a bunch of strangers on social media speculating about whether or not you’ve knocked your royal spouse up. ‘A Royal shotgun wedding. #scandalous’. If it weren’t for that winky face emoji I would seriously be questioning humanity right now, but oh no, the next comment appears to be written with the commenter’s tongue far from the inside of their own cheek. That’s what I ‘ve been thinking since they got married. Why is she always wearing dresses too big? She’s expecting and look at the way Harry is asking if she’s ok all the time. The way he’s looking after her makes me think they don’t want to announce it yet. Maybe Meghan’s ahead of the curve and Harry’s just a top bloke, just putting it out there. 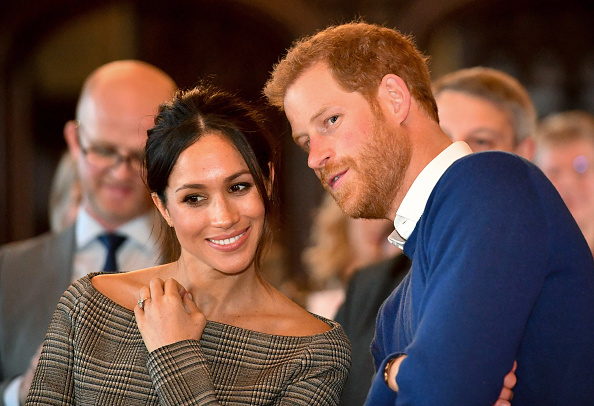 Finally, a little bit of commoner sense comes in the next batch as someone says there was no ‘rush’, because ‘any bump she would of had would of been massively obvious when they actually married [sic]’. 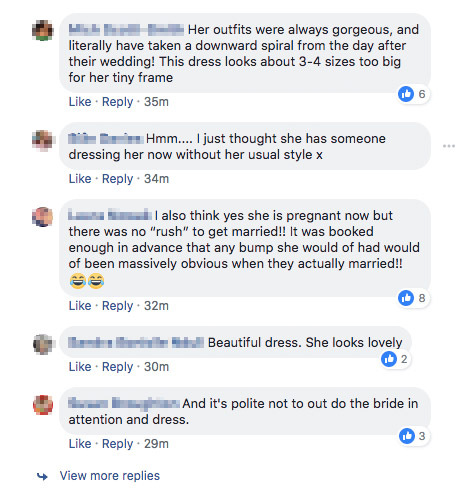 Finally someone points out the manners involved in not showing up the bride ‘in attention and dress’. Well, whatever your fashion tastes, I think Meghan’s definitely done that in the former if not the latter.